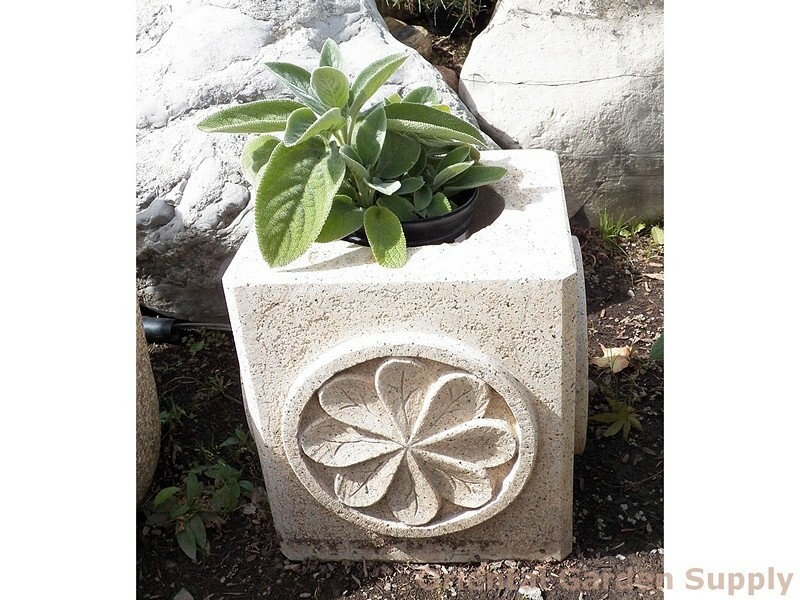 Product Information : A cube shaped fountain with circular lotus flower design on all four sides. An identical circle is carved out on the top to form the fountain basin. Measures 14in cubed.